As a modern-day writer, the keyboard is your ultimate tool. 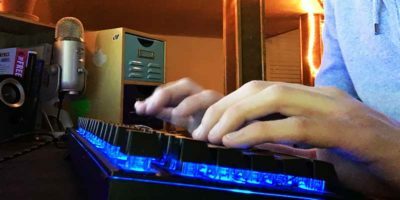 Here are 4 of the best keyboards for writers you can use to create and hone your craft. Calling all Writers! Looking for tools to help boost your productivity? Here are 7 useful Chrome extensions to help organize your daily workflow. Now robots are capable of writing news reports and painting the masterpieces of great artists. Is this the end for those who are in these niches? Let’s find out. If you have a WordPress site with several different contributors or guest bloggers, you will probably want to have a system that can identify the different authors and show a quick bio of the author in the article. Here are a few plugins that you can use. If you are a writer, you would have used tools like Final Draft or Scrivener to create your work. What if you are a Linux user and those tools are not available on Linux platform? Here are some Linux-based creative writing applications for you.